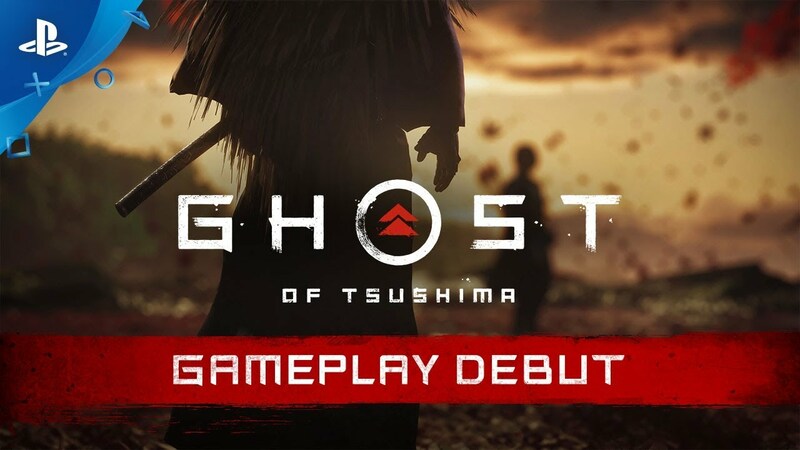 - <strong><a href="https://www.youtube.com/watch?v=kSAvzeopPC8" target="_blank">Ghost of Tsushima - E3 2018 Gameplay Debut | PS4</a></strong> <br/> <br/><img src="https://i.ytimg.com/vi/kSAvzeopPC8/maxresdefault.jpg" width="95%"> <br/> <br/><em>In 1274, the fearsome Mongol Empire invades the Japanese island of Tsushima and slaughters its legendary samurai defenders. Jin Sakai is one of the last survivors of a noble samurai clan. To combat his overwhelming foes, he must pioneer deadly new fighting techniques--the way of The Ghost--and wage an unconventional war for the people of Japan.</em> <br/> <br/>A little stiff, but looking pretty interesting. Might scratch the itch for MK fans who weren't sated by Sony's E3 conference. Kinda picking up the tab on a lot of games that used to be more common. A little stiff, but looking pretty interesting. Might scratch the itch for MK fans who weren't sated by Sony's E3 conference. Kinda picking up the tab on a lot of games that used to be more common. This game had my jaw dropped...until the actual gameplay. This may be one of the most beautiful games I’ve ever seen but combat seems way to stiff. The stealth stuff looked good, though.